(SPOT.ph) Beauty junkies all over the country went crazy when Sephora officially launched their Philippine website around this time last year because that meant a number of their favorite makeup brands would finally be available here...albeit virtually. One of the brands everyone was excited about? Too Faced, of course. 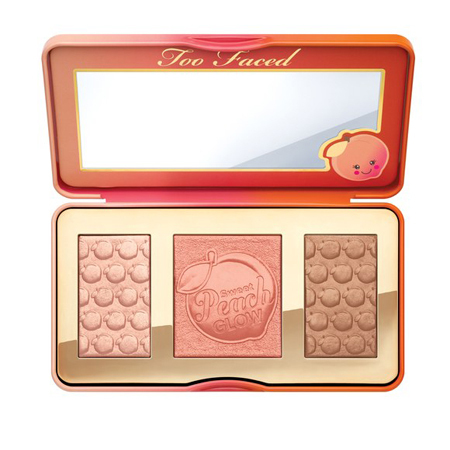 This time around, Too Faced has a sweet surprise for all their fans: The return of the Sweet Peach Eyeshadow Palette...along with an entire Sweet Peach Collection that includes a glorious highlighting palette, a beautiful blush, and eight luscious tubes of lip gloss—all wonderfully peach-scented (they're all infused with the actual fruit!) and adorably packaged. 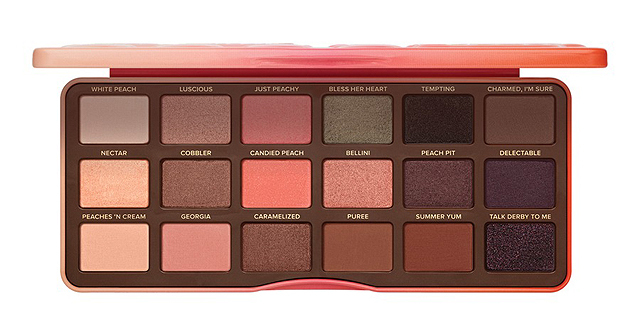 This limited-edition palette comes with 18 sweet-smelling eyeshadows that are formulated with peach essence and antioxidants that's a treat to the skin. 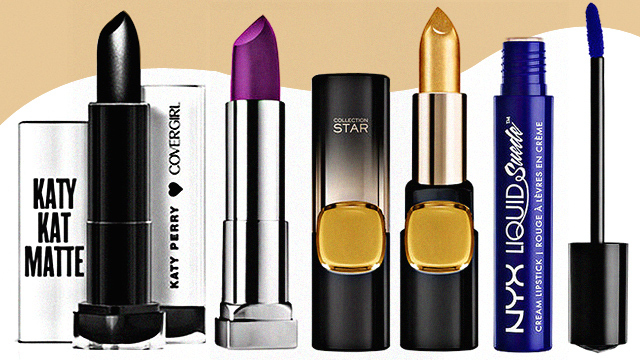 From pinks to corals to bronzes to purples, these shadows are highly pigmented and suit every skin tone! Plus, it comes with a Glamour Guide by Too Faced that includes tutorials that will help you get started. 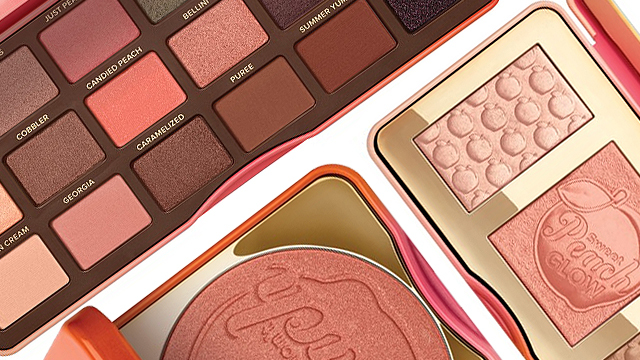 Shine in all the right places and give your skin a nice, peachy glow with the help of this highlighting palette! It's a trio of powders that include a lovely blush, a beautiful bronzer, and a brilliant highlighter—all packed with peach essence that give off an addicting sweet scent! Add a touch of warmth to your look with this bronzy peach blush! It leaves a wonderful pink-pearl finish that illuminates your face gorgeously. 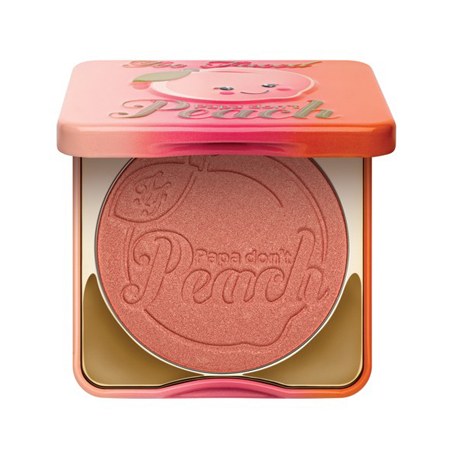 The peach-scented powder is highly pigmented and buildable, so you can achieve the perfect look! 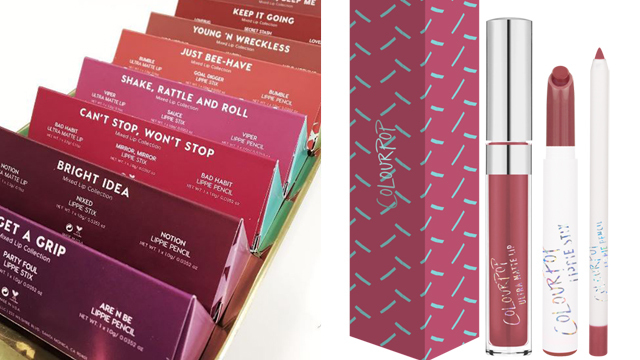 Flaunt luscious lips when you swipe on these juicy lip glosses! 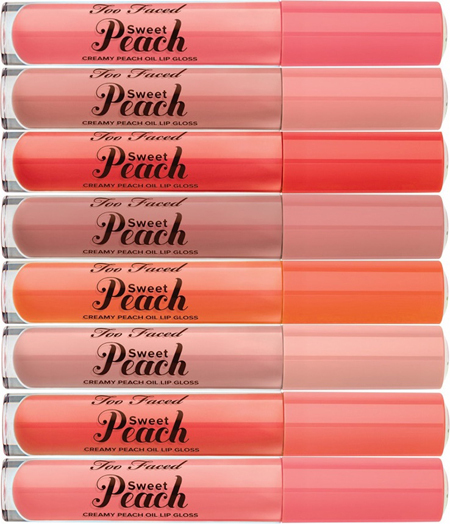 Infused with peach essence, coconut oil, and vitamin E, these tubes come in eight pretty shades that leave a flattering sheen that makes your pout look soft and plump. You'll fall in love with the yummy scent!